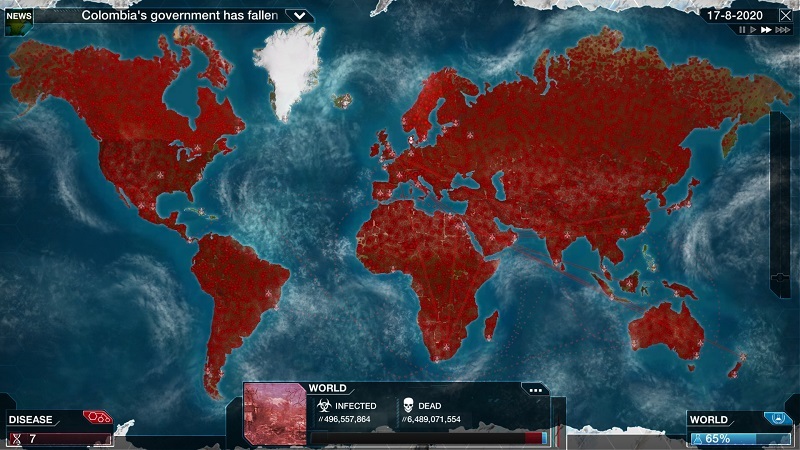 Plague Inc Evolved is a terrifyingly good time end the world simulator game for those who are not a germaphobe. These kinds of things do creep me out a bit just how easy it is to keep a pathogen non-lethal being accepted in with open border, shipping lanes, and flights. Spreading in the shadows till it’s time to unleash Armageddon on your simulated word and end it. The game itself has a couple of different options to play it from single to multiplayer. Expanding beyond that you can play the main game where you work on unlocking more genes to use. Official scenarios where they have everything from the Black Plague or poking a bit more fun at modern society believe in alternative medicine. Who ends up destroying the lab that created the cure in favor of healing crystals! You can also create your own custom scenarios. Along the way of playing with different types of plagues to infect the population and try to get that win before they create a cure and save the world. While using bacteria, virus, and fungus to get them done was a thrill. The far more exotic Nano-virus, bio-weapon, and the shadow plague sure took things up a notch. 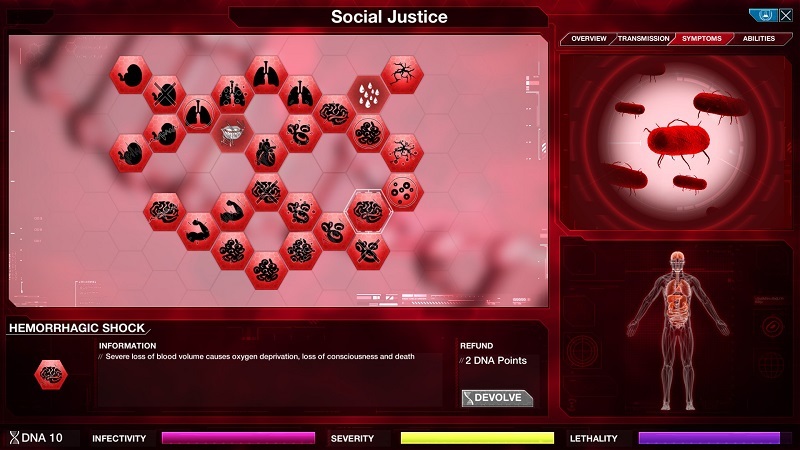 Each game you get to select the genetic core that makes up your virus, bacteria or whatever you choose. Some of these options affect how you gain research points in the game to further evolve your plague. While other options make it easier for it to spread by sea, urban areas. You can even go further and making research cheaper in some areas but easier to cure. All these options leave you bit feeling like a mad science planning out how best to infect the first country you have selected. They also give the player quite a wide range of difficulty options to select from. 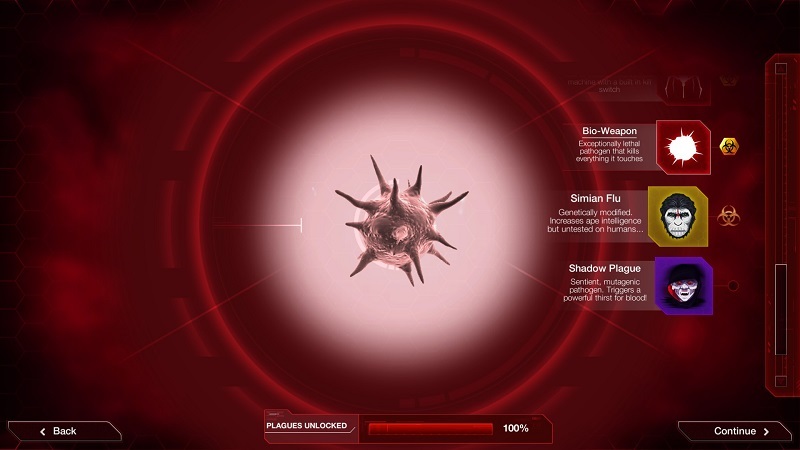 Some coming with their own achievements and challenges along the way in an attempt to further unlocks more plagues and options in the game. You can have it as easy as infected people hugging each other while research doctors are too lazy to work. Downright to doctors working around the clock to put an end to your plague and random chances for it to get cough early on and end dead in its tracks. 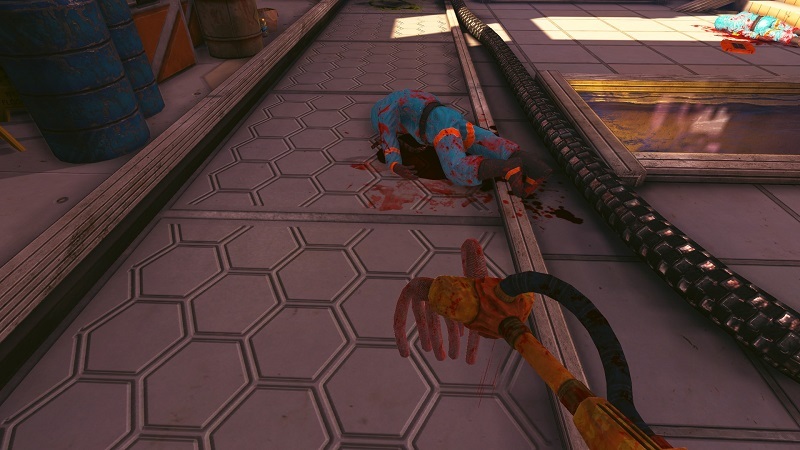 Then the fun of the game starts and you watch and wait as your first infected victim goes about their daily lives unaware. Interacting with others and slowly spreading it. Will they get on an airplane, a boat, or cross a border into another country and make it harder to quarantine? Only time will tell if you end up infecting some of the harder islands that sometimes escape your grasp causing you to almost annihilate the entire human race but a couple of escapes and you lose. As the game progress world events also are carried out. Sometimes giant events that will cause masses of people to get together to celebrate. Other times you think the game won and suddenly those anti-vaxxers don’t believe in the cure and destroy the very lab it was created in! Almost ensuring victory or your early defeat on what events unfold during your play session. All while you sit in horror of your glowing screen trying to determine what next to spend points on to further evolve your plague and march closer to that victory death. Do you make it more resistant to cold or warm areas? Have it spread among birds, rats, and other animals as a host easier. Perhaps you make it more airborne or mutate to escape modern water filtration systems. 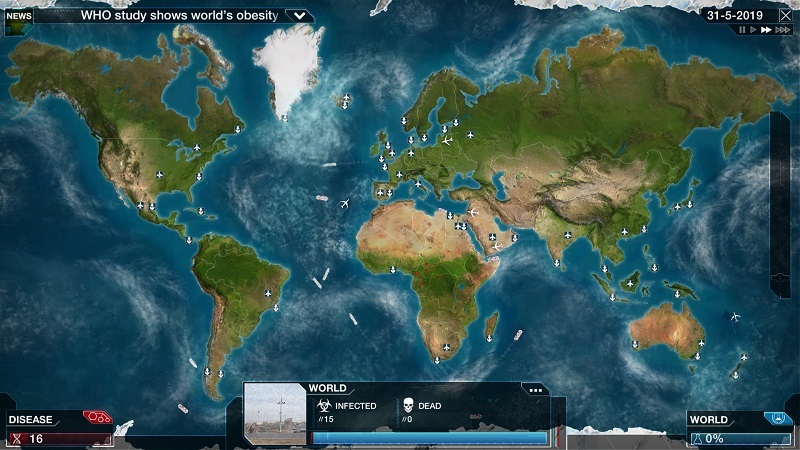 The game even has random events that cause your plague to take on new symptoms that you have not yet. Sometimes increasing the lethality of your plague faster than you can spread it. Along with other consequences of borders being shut down and populations being safe. The game also has random bubbles show up on the map that you pop with your mouse. They could give you further DNA to research with or put a stop to a breakthrough for the cure. 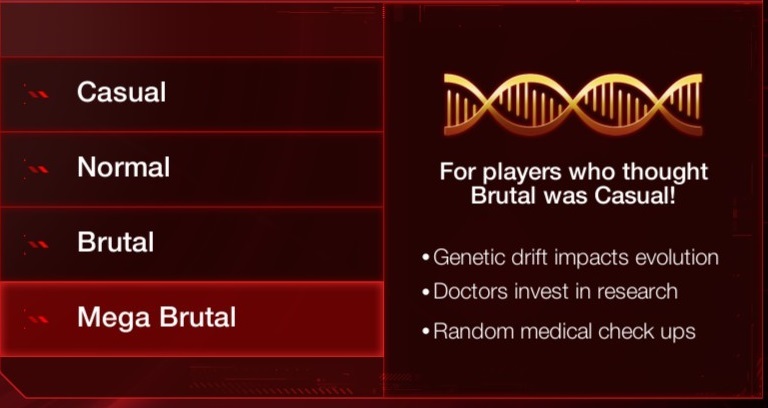 I felt it was an interesting way to keep the player busy as they are waiting out for that next country to be infected and another border quarantine to fail. After playing a number of games I noticed there are some predictable areas of the world that almost always seem to be the last ones to fall. If you don’t end up spreading fast enough to places like Greenland or New Zealand you almost have a guaranteed fail once they close down all point of entry along with several other islands. The game also gave you the option to look at each country to further better understand their strengths and weaknesses. Are they rich or poor? It is a warm or cooler climate? Is the population more urban or rural? Often times when you failed you could learn for your next attempt. Along with what attempts if any they are making and how much they are spending. While the game might not appear very deep from the outside once you jump in and start to see all your options you get to spend DNA on and understand how everything works. It does make for a very interesting game. Mix in with random events that hinder or help and you might be surprised when things don’t work out as expected. It was also rather quick games or scenarios each time which ensured the game did not drag on for too long. While you raced to further mutate things hoping to foil any plans the game had at stopping you. Quite fun as long as this sort of thing does not scare the daylights out of you. If Plague Inc Evolved has you washing your hands ten times a day and in the mood to scrub the floor wanting to avoid the next plague. Perhaps being a space janitor is more to your liking and wanting to make things clean! 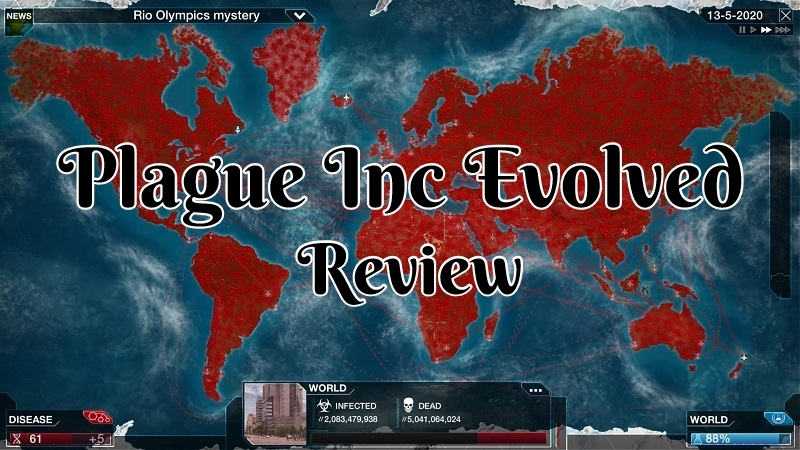 Screenshots were taken and content written by @Enjar about the game Plague Inc Evolved.